Metadata is essential for managing, migrating, accessing, and deploying a big data solution. Without it, enterprises have limited visibility into the data itself and cannot trust in its quality—negating the value of data in the first place. Creating end-to-end data visibility allows you to keep track of data, enable search and query across big data systems, safeguards your data, and reduces risk. In this O'Reilly webcast, Ben Sharma (cofounder and CEO of Zaloni) and Vikram Sreekanti (software engineer in the AMPLab at UC Berkeley) discuss the value of collecting and analyzing metadata, and its potential to impact your big data solution and your business. Attendees will learn how access to your data's lineage allows you to know where data has come from, where it is, and how it is being used. We'll also take a deep dive into a new open-source project under development at U.C. Berkeley — Ground. Ground is a data context system that enables users to uncover what data they have, where the data is flowing to and from, who is using the data, and when and how it changes. We'll explore how data context stretches the bounds of what we have traditionally considered metadata. How Ground is making an impact on a wide range of data tasks, including data inventory, usage tracking, model-specific interpretation, reproducibility, interoperability, and collective governance. Initial work on Ground, and how this data context system is making an impact on a wide range of data tasks, including: data inventory, usage tracking, model-specific interpretation, reproducibility, interoperability, and collective governance. 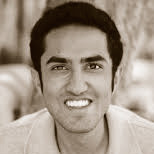 Ben Sharma is CEO and co-founder of Zaloni. 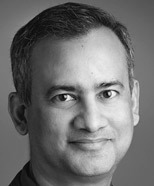 He is a passionate technologist and thought leader in big data, analytics and enterprise infrastructure solutions. Having previously worked in technology leadership at NetApp, Fujitsu and others, Ben's expertise ranges from business development to production deployment in a wide array of technologies including Hadoop, HBase, databases, virtualization and storage. Ben is co-author of Architecting Data Lakes and Java in Telecommunications. He holds two patents.